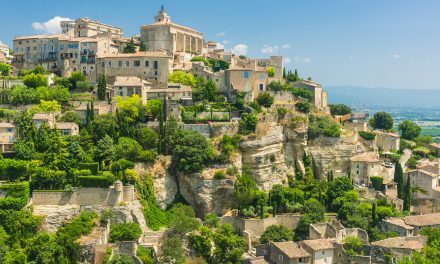 From €1 million homes overlooking Annecy’s legendary lake, to grand waterfront estates on the Provence coast, Home Hunts’ property selection is renowned for its choice of budgets, styles and locations. The featured properties section on the homepage of www.home-hunts.comalways showcases potential properties of interest to clients, and this shortlists some of the most interesting investment opportunities from the current collection. Built at the turn of the 19thcentury, this magnificent Belle Epoque house(HH-6975051) is set in three hectares of park and offers one of the most sought-after features in France: a small private beach. Lawn steps lead down from the perfectly-manicured, mature gardens to a rocky and sandy enclave where you can leave sunbeds and towels ready for yourself and your guests. If you think that outside sounds impressive then you will be dazzled by the interiors of this extraordinary property. From the pink-stone statement staircase, to the conservatory-style windows and the bedroom views of leafy palms and the Mediterranean Sea, this is luxury living at its very best. 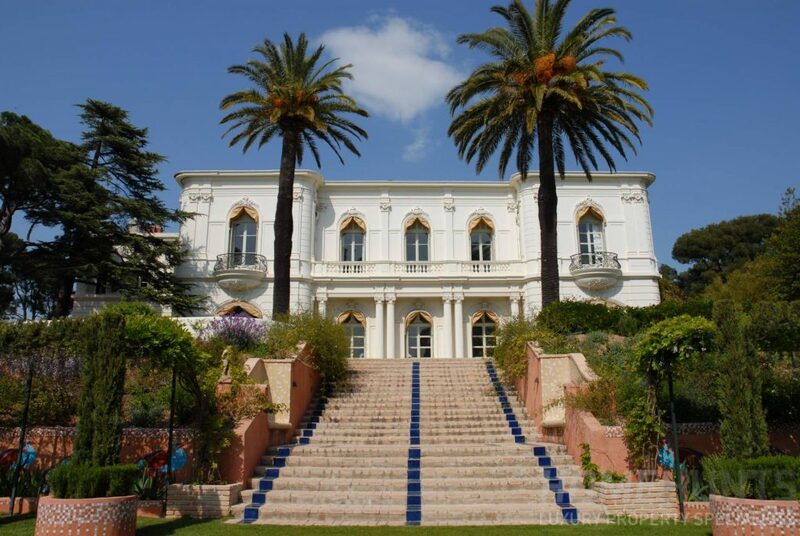 A ten-bedroom property, this glorious home has been valued at€19,000,000. 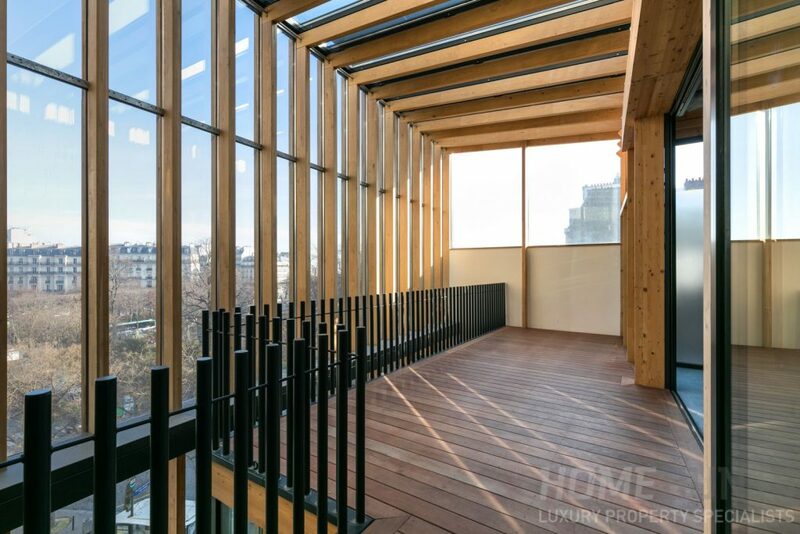 This cool contemporary architect-designed house(HH-11816413) in the 14tharrondissement in Paris is a striking new building that offers extremely luxurious lifestyle possibilities in one of the busiest cities in the world. Modern and meticulously designed to let as much light in as possible, one of the most striking and coveted features is a private indoor swimming pool. A unique, spacious property with a roof terrace, greenhouse and ponds, and a garage for two cars, this property stands out for its large volumes and distinctive look. It is on the market for €13,000,000. 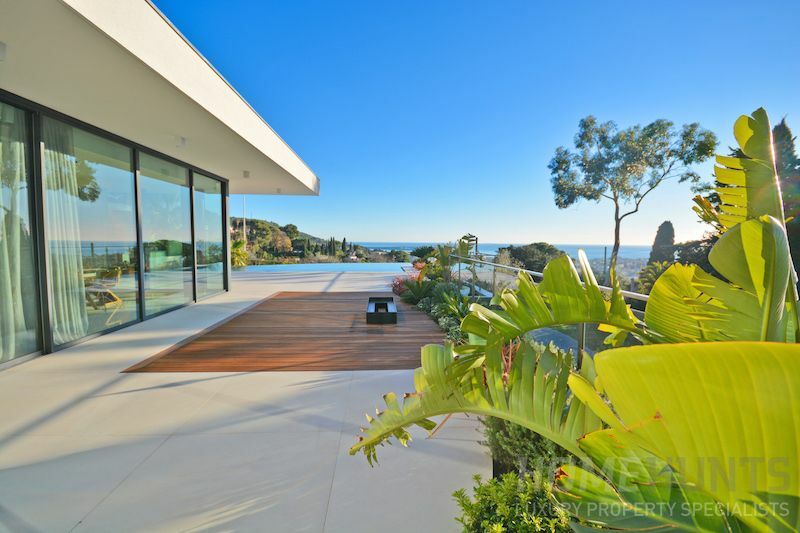 If you are looking for a modern villa in the Cannes area that offers sea views then add this splendid villa(HH-10116445) to your property search list. It offers the right buyer an excellent deal at €5,900,000 with its panoramic views over the sea, Esterel mountains and the bay of Cannes, but it is the awe-inspiring infinity pool from which you can appreciate the scenic surroundings that makes this such a special place to relax and entertain. Floor-to-ceiling windows mean the sea can be seen at many different points around the house, such as the living room, and there are five en-suite bedrooms available as well as a spa-Jacuzzi and an elevator. 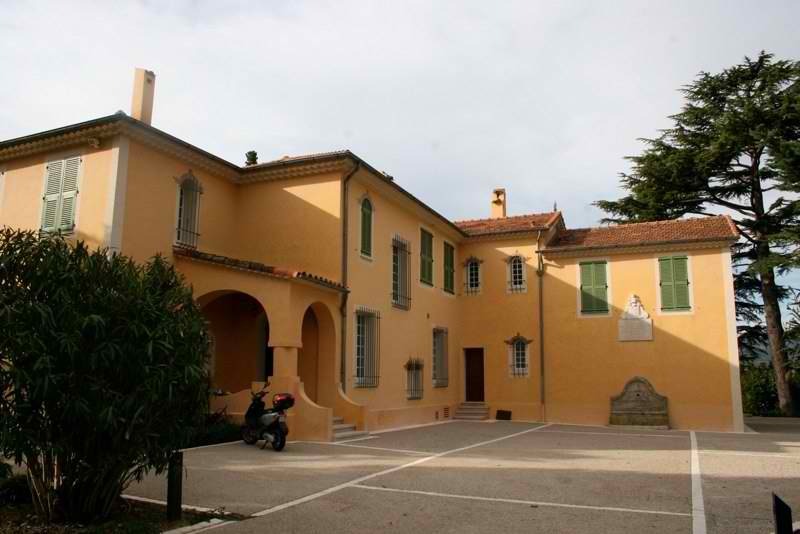 Located in Le Cannet, interested buyers should get in touch as soon as possible. 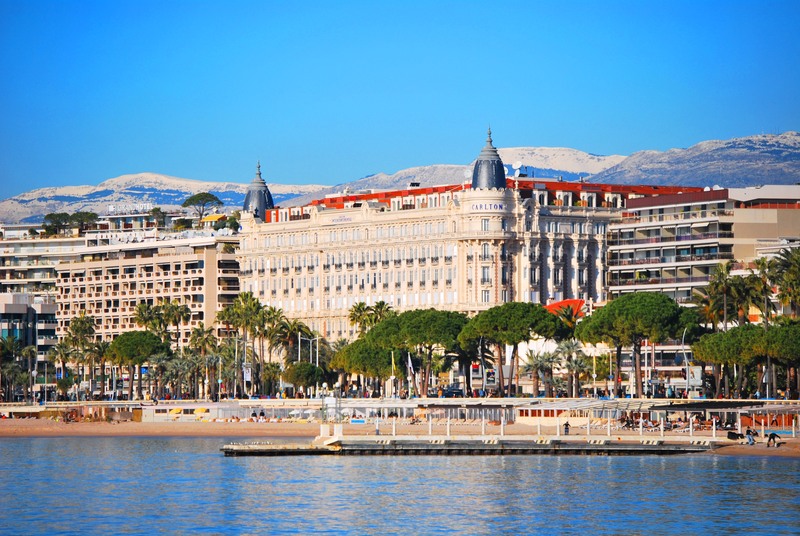 Beautiful prime properties don’t always have to have a multi-million-euro budget. 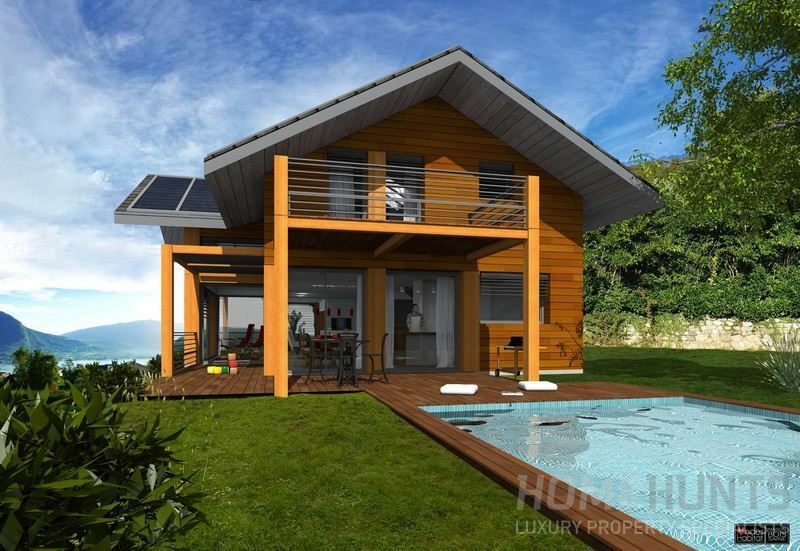 This sleek, stylish villa(HH-11175544) is being built on Lake Annecy and will provide a view of Lake Annecy and the mountains. A carefully-constructed wooden framework means the building has been designed according to Feng Shui methods, offering three harmoniously-designed bedrooms. It can also come with a swimming pool and solar panel roof if required – the buyer can finalise the property building according to personal requirements. Location-wise it offers the perfect all-year-round holiday home (which is also good for creating a second income stream from holidaymakers) as it’s close to the local golf club, twenty minutes from ski resorts and five minutes from the lake, beaches and marina of Talloires. At €1,540,000, it won’t be on the market for long.